The 1986 unsolved homicide of Michael Kierstead. 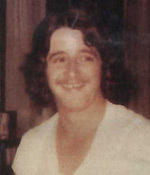 Michael Kierstead, age 25, of Greenville, NH was last seen after he withdrew money from the Indian Head Bank in Wilton, NH at approximately 4:00 p.m. On September 4, 1986 Kierstead was seen getting into a blue sedan on Main Street in Wilton, NH. There were two other men in the vehicle. The operator of the vehicle was described by a witness as a white male, approximately 18-20 years old, clean cut, with short dark hair. Michael was found stabbed to death in a sand pit off North River Road, in Milford, NH on September 5, 1986.